KODIAK – A shortage of available family housing is having a snowball effect on the community of Larsen Bay, according to residents. Residents of Larsen Bay, a village on Kodiak Island, say the lack of available homes is making it difficult to attract more families to the village, which has a population of around 85, the Kodiak Daily Mirror reported. A lack of students this year led to the closure of Larsen Bay School. The school closure makes attracting families even harder. "What the communities need and what they want is housing for their children, to raise their families," said Betty MacTavish, an 11-year resident of Kodiak who has taught in many of the area villages. "If you don't have children, you don't have schools and you don't have a viable community." Some residents say the homes are being purchased by people from outside the state who maybe only use the home for a couple weeks a year. There were 140 properties in Larsen Bay listed on the 2018 tax roll. Of those, 74 are owned by individuals with a mailing address in Larsen Bay, according to data provided by the Kodiak Island Borough's Resource Management Officer Maggie Slife. Of the remaining 66 properties, 31 are owned by individuals with a mailing address in Kodiak and 34 are owned by individuals with a mailing address off the island, the majority outside Alaska. 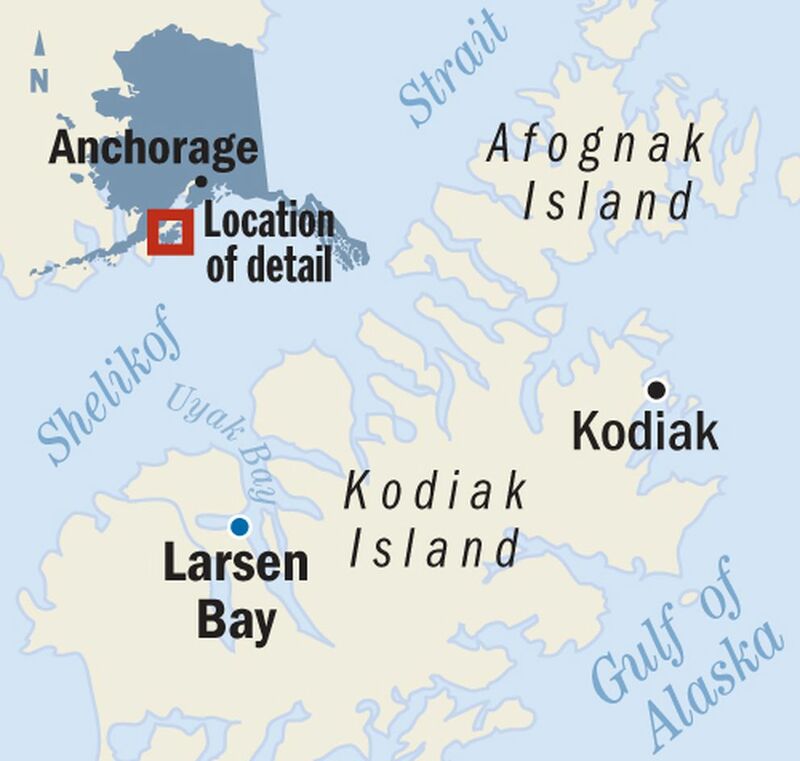 Of the 74 properties owned by individuals with a mailing address in the village, 31 are owned by the City of Larsen Bay. The closure of the school is likely to make things harder for the community. The school was a social center for the community, said Sherry Harmes, a resident of Larsen Bay who purchased her home in 2006. It was a place where kids and adults alike would gather to do art projects, cultural projects, potlucks and volunteer activities. Harmes said that even funerals were held there. "It's very hard to attract families," she said. "We have lots of houses out here that are empty. They're absentee owners. They either refuse to rent them, or they try to rent them for an exorbitant amount." Beyond this, Harmes said, not all of the houses that sit empty are well maintained, which means safe, habitable houses for rent or sale are a rarity. "There are homes that are in disrepair, that you wouldn't want your grandparents to live in, let alone children," she said. Kodiak's primary agency that offers assistance with housing is the Kodiak Island Housing Authority. Mindy Pruitt has been KIHA's executive director for just more than a year and has worked for the organization for nearly two decades. She said that Larsen Bay is not the only village around Kodiak facing a housing shortage. Over the last five years, Pruitt said, she has seen more homes being purchased across the archipelago for use as a vacation home or a hunting lodge. Not only this, but as residents get older, some move to cities but opt to keep their home.